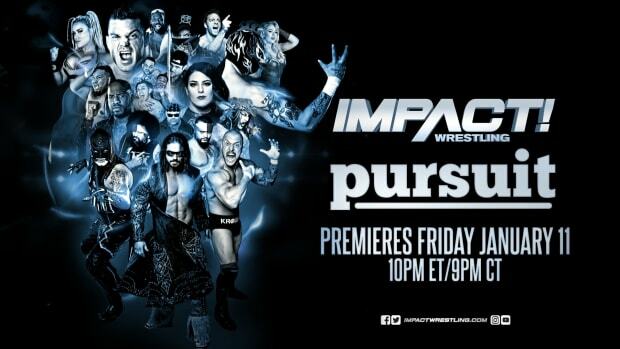 Preview Thursday&apos;s IMPACT WRESTLING broadcast on SpikeTV at 9/8c. If you can&apos;t watch it Thursday, make sure to set your DVR to record it so you don&apos;t miss any of the action. - Witness the aftermath of "Sacrifice" this Thursday night on IMPACT on SpikeTV! See the fallout from Bobby Roode vs. Rob Van Dam for the World Title, plus what happened with Jeff Hardy vs. Mr. Anderson, AJ Styles vs. Kurt Angle and more! - Plus, AJ Styles will address the controversy involving TNA President Dixie Carter. - Daniels and Kazarian shocked the wrestling world by revealing the photo of AJ and Carter - what will happen on Thursday night? Don&apos;t miss it! - Plus, the road begins to the June 10 "Slammiversary" Pay-Per-View, as TNA celebrates our 10th Anniversary! One of TNA&apos;s biggest events of the year is coming to Arlington, Texas - and the countdown begins this Thursday night! We will have full taping results following the Impact Wrestling tapings tonight here on WrestlingNewsWorld.com.